August 26, 2013 May 13, 2014 Joanna V.
Yesterday I went to brunch with some friends up in Cardiff. We sat outside on the patio (which was an upper level) and got to have a fantastic view of the beach while we had eggs benedict and fruit and such. It was nice to sit and chat and have a (very late) breakfast and watch all of the people walking their dogs along the sand. 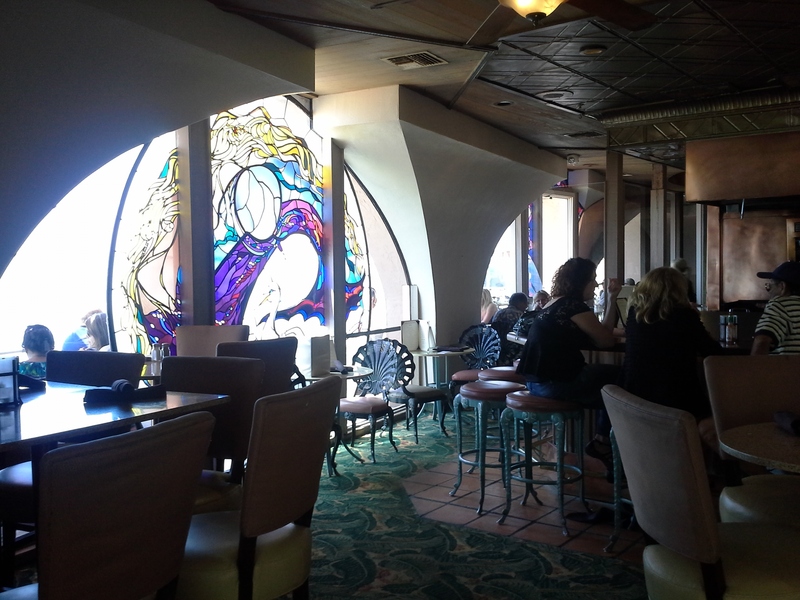 The only photo I took was of the inside portion of the place, because it had such beautiful stained glass windows. This one was my favorite. Unfortunately, the glare in the photo means you can’t see the water through the window, even though in person the bright blue ocean is perfectly visible. Definitely a place I’d go again.